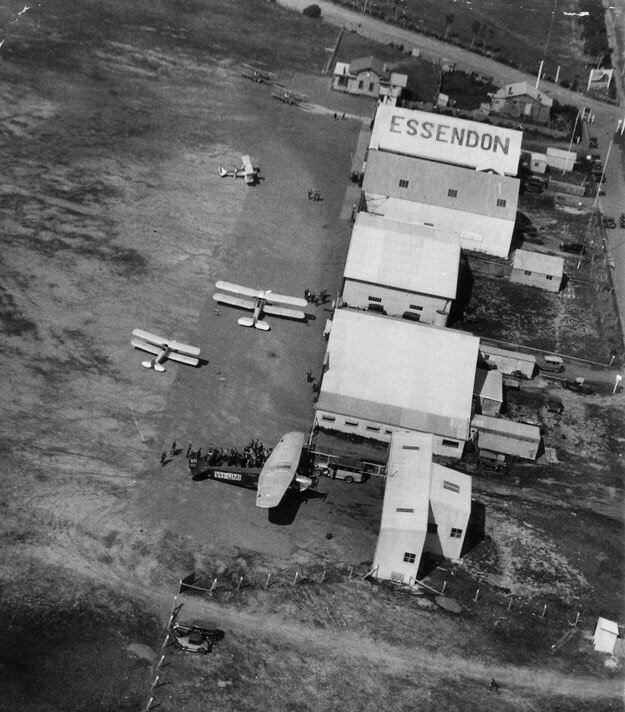 This marvellous photo shows the hangar area of Melbourne/Essendon Aerodrome in the early 1930s (before 1934). The takeoff and landing area itself was an all-over grass field. Something interesting appears to be happening around the Australian National Airways Avro X VH-UMI Southern Moon! Click on the hot-spots below for more information about features in the photo. Construction dates are given for the buildings, plus the tenant at the time of the photo. Some hot-spots include links to further information and photos.